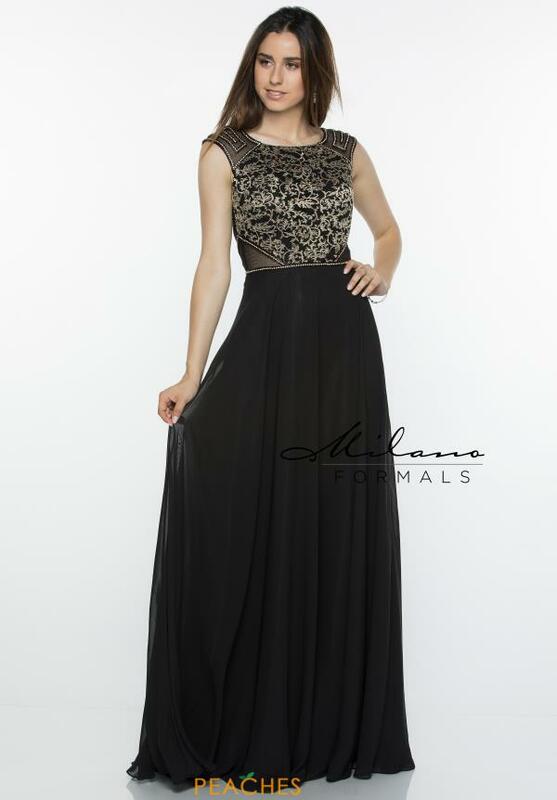 Gorgeous Milano Formals prom dress E2385 is an ideal choice for your senior year prom or black tie event. This elegant gown showcases a fitted bodice and flowy chiffon silhouette. The bodice is adorned with radiant bead work and sheer side cut outs. Made out of a rich chiffon material, the skirt is sure to keep you comfortable as you dance the night away.